Brick Street Research — Rutherford B. H. Yates Museum, Inc.
Rutherford B. H. Yates Museum, Inc.
RBHY recognizes that the historic brick streets are a defining element of the historic character of National Historic District Freedmen’s Town. The City of Houston’s Public Works Dept. and private contractors are rapidly destroying the streets, and the daily destruction evident. The City of Houston’s current inappropriate plan places the streets in imminent danger. RBHY strongly supports the community’s need to infrastructure improvements, but we do believe that this is possible without tearing up the historically important streets. Call us for a copy of the RBHY review of the Carter & Burgess plan and our recommendations for proper restoration. The streets are significant not only because the ancestors built them, but also because the patterns of the laid bricks. Initial research by RBHY have provided strong support for the idea that these Freedmen’s Town “crossroads” are worthy of serious documentation and study. Our research has been aided by several nationally known scholars, including noted folklorist Gladys Marie Fry and archaeology professors Kenneth L. Brown and Christopher Fennell. 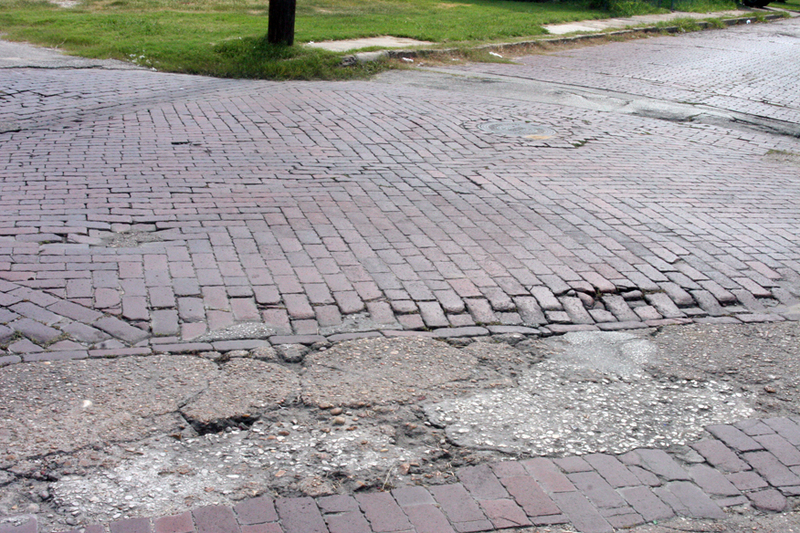 The Brick Street research continues in hopes that it will provide proof that the streets are worthy of saving before it is too late. We need your help to convince the incoming city administration that saving this historical treasure is vitally important. For more info on Freedmen's Town click on the link below. Copyright @ 2015 Rutherford B.H. Yates Museum, Inc.